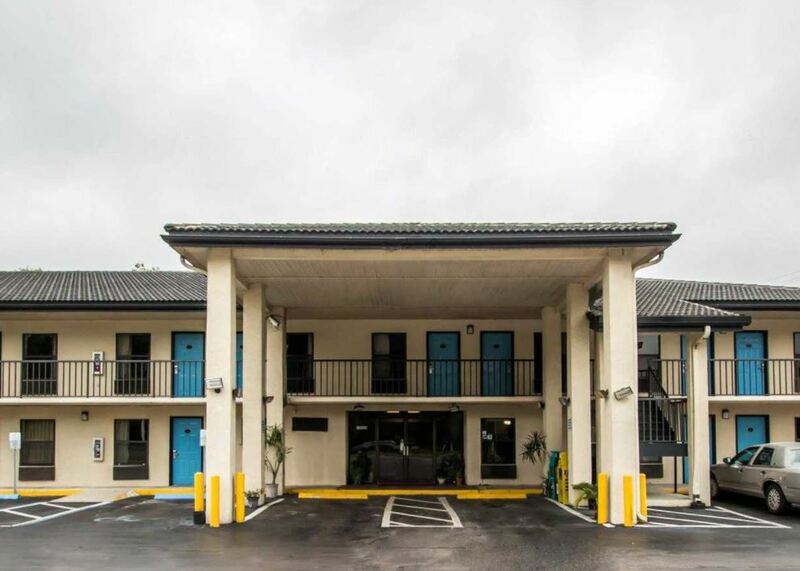 Begin your north Florida adventure at our Travelodge Alachua hotel off I-75 and Route 441, less than 20 miles from downtown Gainesville, the University of Florida, and Gainesville Regional Airport (GNV). In Alachua, you’ll find a quaint downtown area with local bars, restaurants, and boutiques on Main Street. If you’re here to explore the great outdoors, Ichetucknee Springs State Park is also nearby, where you can go hiking, swimming, and picnicking.Fuel up for a day of exploration with free breakfast, including waffles, fresh fruit, cereal, and more. You can stay connected with free WiFi throughout the hotel and cool off in the outdoor pool. Our friendly front desk staff is available 24/7 to help you with directions and local recommendations. Each guest room features a flat-screen HDTV, mini-refrigerator, microwave, hair dryer, and ironing amenities. Dog-friendly rooms are available for a small fee, and we offer free parking for cars and trucks.